BBC news 24 has been streamed online since the beginning of May 2007. BBC news channel is based at and broadcasted from the News Centre within BBC Television Centre in West London. 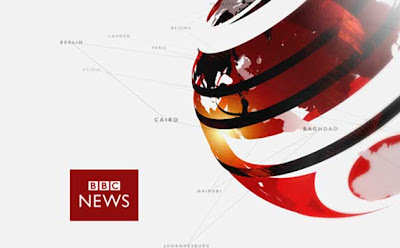 BBC news 24 renamed BBC news on 21st April 2008 on the channel itself for creative future plan to deliver all BBC News output under the single brand name. It brings a one-hour, twice-daily flagship programme, seven days-a-week, all year round. It also includes interviews with players, eyewitnesses, correspondents and experts the most telling location reports and features, debate and discussion.